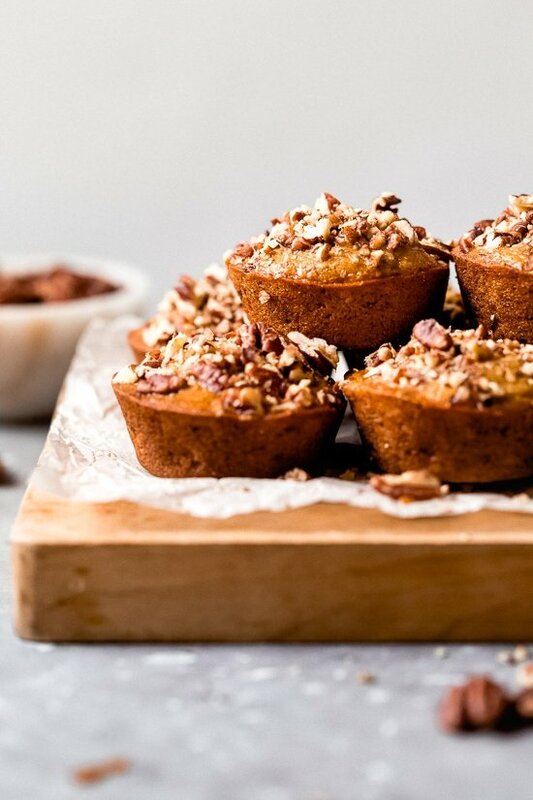 Moist and delicious Maple Pecan Banana Muffins, so good you won’t believe they are light! These banana nut muffins are slightly adapted from my low fat banana nut bread recipe. Here I wanted to use pecans, pure maple syrup and some maple sugar I purchased, but if you don’t have maple sugar any sugar would work. What I love about making these banana muffins is that they come out so moist, and I only use 2 tablespoons of butter in the whole batch! If you prefer, you can also make them in a loaf pan to make them into a wonderful banana nut bread.